At New Beginnings our technicians are IICRC certified, trained and experienced in flood cleanup and restoration. There are many factors that can lead to a flooding disaster, such as heavy rain fall, broken pipes, sewage damages, toilet overflow, faulty sump pumps, these are all causes of flooding in your home or business. There are also three different categories and different classifications to consider as well. Trust our professional licensed, insured and bounded technicians that have more than 25 years of experience in disaster restoration services. Call us 24/7 us @ 866-287-0892. New Beginnings technicians will disinfect and cleanup the flooding in your home or structure after any flood damages or standing water, using only the most up-to-date state of the art technology. High powered equipment and training make us the best in the field of expertise. Our technicians use truck mounted water extraction unit and industrial strength drying equipment to assure proper water extraction and drying techniques are followed. Moisture meters and moisture sensors are used to ensure proper drying. A constant moisture reading is also followed in order to reach the proper moisture content of the structure. After all moisture is removed, we can begin the demolition and reconstruction of your building for any services call us anytime at 866-287-0892. Storing your important documents in a sealable tote, or a safe that is kept above ground level should always be considered, keeping any antiques or heirlooms above waist level is always a good idea also. Your insurance adjuster may not cover items considered sentimental and these types of valuables should always be stored for safely. Nothing can ever prepare you for the devastation that a flood can cause. Never let debris or other things cover your floor drains. Never enter standing water without turning off the power source first to ensure your safety. Unplug all appliances, televisions, computers, lights when there is a storm warning. 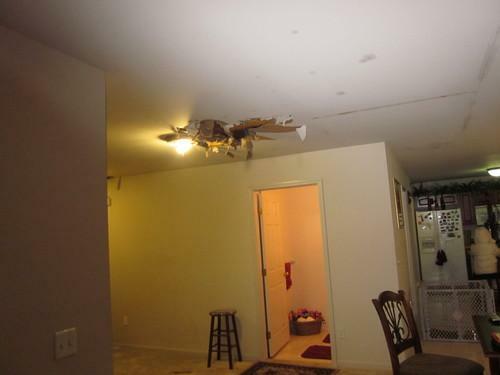 Never enter a room that has sagging ceilings, these may collapse and hurt you. Do not attempt to remove the standing water with a household vacuum or shop vac, this can serious injury. Call the professionals at New Beginnings anytime at 866-287-0892. 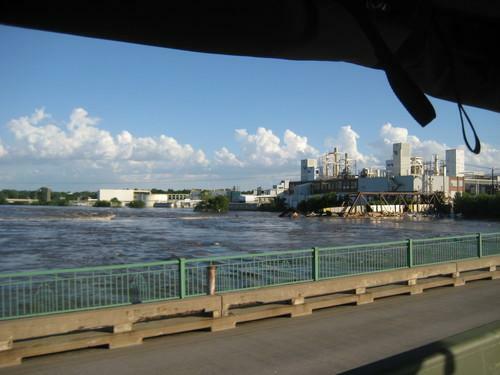 The drying process can involve a number of different techniques, depending on the category and classification of the water such as “black water” also known as category 3 meaning that it is bio- hazardous. Heat, dehumidifiers and fans are all used to remove all moisture from within the structure. The combination of heat and air movement helps release any moisture from the walls and floors so our dehumidifiers can extract all moisture to prevent any mold from setting in, which when it comes to water damage time is of the essence. No matter what the cause of your water issue, here at New Beginnings our goal is to restore the structure and contents back to its pervious pre-flood condition as best as possible. We will pack out and create an inventory, ship your contents to our controlled climate warehouse where we will restore any damaged contents. After the reconstruction phase of your restoration has been completed items will be returned in its pre-existing condition or replaced when necessary. Our trustworthy compassionate technicians want to make your flooding disaster a great restoration experience. Call us immediately with any flood or standing water issues @ 866-287-0892. At New Beginnings our first major concern when arriving to the site that needs flood cleanup is to always identify the potential safety hazards and inform you of what may be unseen but of great concern. We will always follow the safety guidelines set forth by OSHA. We are also certified, trained and insured for all types of flood cleanup jobs.